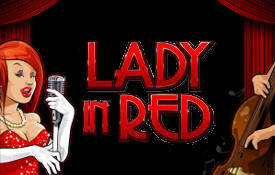 Lady in Red video slots is about a lady who sings in bars and restaurants. This non-progressive Microgaming slots comes with 5 reels and 25 paylines. The stage’s decor induces and ambience of warmth which is showcased on the reels. Additional symbols that form part of the slot machine’s repertoir are “the Pianist”, “Roses” and “Whisky”. The wild symbol is “The Lady in Red Logo”. The scatter symbol is the “camera”. Players will note that the symbols have been well designed. A man smoking one cigarette after the other’ outline could be seen behind a whisky glass and the photographer taking pictures with his camera. The pianist enjoys centre stage and he’s surrounded by the orchestra. Supplementary symbols showcased on the reels are High value card symbols from Ace to Nine which has been stylishly designed; it’s in line with the central theme of the slot game. The game’s audio is substandard and not really suited to the theme. Background sounds lack apart from the win sounds, and some animations don’t have audio. The audio sound that will grab a player’s attention is the pop of the light bulb in the scatter Camera symbol. Animations are low key and not over the top. Some semblances of animation are the wild and scatter symbols. 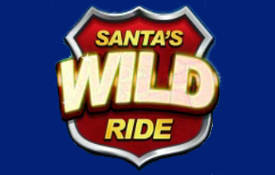 The “Lady in Red” logo in the wild symbol is changed to “Wild”. The game’s best animation is the camera symbol and the photographer takes pictures of the lady in red from different angles. You can bet up to 10 coins on each payline. This can be done by choosing the “Coins” button. The coins have various denominations ranging from 0.01 to 0.20. The line bet varies from 0.01 to 2.00 and 0.01 to 50.00 is the total bet per spin. The wild symbol is “The Lady in Red” logo, all the other symbols are substituted by it apart except the scatter symbol. When two or more of these symbols are showcased in an active payline, line payouts are awarded. 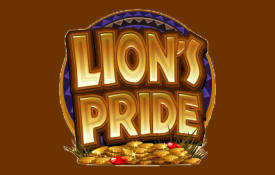 Payouts are doubled when the wild symbol helps in completing the payline. The scatter symbol is the camera. If two or more scatter symbols are show cased on the reels players are awarded scatter payouts. If three or more of these symbols are showcased on the reels the free spins feature is activated. 15 Free spins are equal to three scatter symbols. 20 Free spins are the same as four scatter symbols. 25 Free spins represent five scatter symbols. 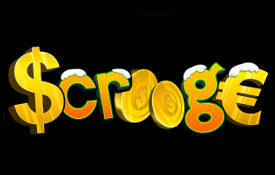 In the free spins section all payouts are tripled. It’s possible to reactivate the free spins feature. There is no bonus game offered by The Lady in Red on the second screen. In summary. This slot machine can be played in “expert mode”. At the bottom of the toolbar you can activate this mode. The reason why there is an expert mode it makes the betting options simpler. “Autoplay” is arguably the best feature in the expert mode. Five or Ten auto spins can be activated by selecting the 5x or 10x buttons. If a win is above a certain amount players can configure the auto play feature to stop. We recommend you play Lady In Red at these Microgaming Casinos.